O2 Academy Islington - LondonClub De Fromage - Eurovision Afterparty! 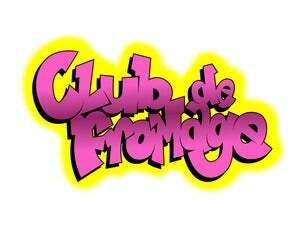 O2 Academy Islington - LondonClub De Fromage - Bank Holiday Party! Join Slow Alfie and the gang for London's most riotous pop party. Featring massive sing-a-longs, confetti cannons, balloons, hula-hooping and loads more and playing the best in pop, rock, indie, disco, power ballads and classic dance and RnB. Leave your worries at the door and prepare to get silly! As seen at Glastonbury, Reading, Standon Calling, Isle of Wight and loads of other festivals.